Asheville and WNC Events Memorial Day Weekend through June 2016! It is a great time to be in Asheville and Western NC! 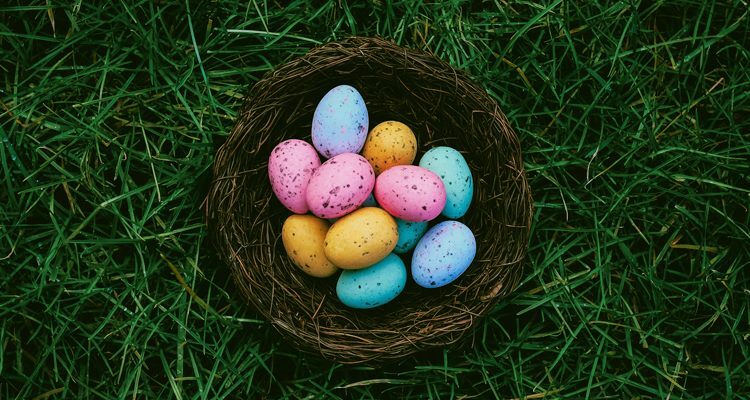 There are so many fun events happening this Memorial Day Weekend and even more going into June! 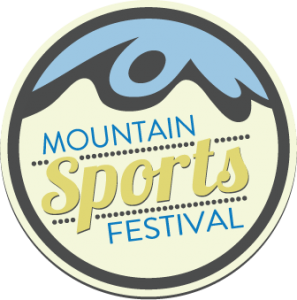 The Mountain Sports Festival is a weekend music and sports festival that celebrates community, athletics and local business. 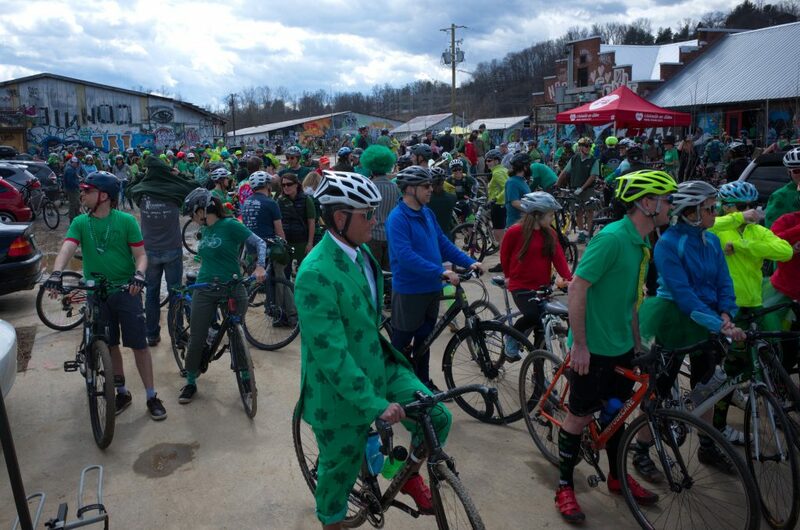 The free festival showcases the terrain, environment and unique culture of Asheville, NC and the surrounding mountains. The Mountain Sports Festival is organized by a volunteer group of community oriented citizens dedicated to the presenting of a well balanced series of events that encourages participation on all levels. Held annually on Memorial Day Weekend, 2016 marks the 16th Annual Mountain Sports Festival. This year promises build on previous years and bring a wide variety of events in the mountains, throughout town, and on the river, an array of musical talent will perform each day, and local beer and food vendors will be available to fill your belly. Thanks to our amazing sponsors and our hardworking and dedicated volunteer Board of Directors, the festival continues to remain free to the thousands of attendees each year! We look forward to seeing you Carrier Park this Memorial Day Weekend to celebrate 16 years of Mountain Sports Festival! The Americana Burlesque & Sideshow Festival (ABSfest) is now in their eighth year of celebrating the Vaudeville Revival here in Asheville. More than 2,000 people have reveled in the company of their suede, satin, and sparkle, the chicken feathered starlets and fish-eyed zombie boys. Come for three days of inspiration, education, shopping, and entertainment. No lover of these arts can afford to miss seeing international masters, with both workshops and dazzling, technical performances during the festival. ABSfest attracts renowned circus and burlesque artists (including aerialists, fire eaters, jugglers, etc) from across the USA, as well as Scotland, Germany, and Japan. They promise fashion, contortion, trapeze, and tease! In a world now brimming with Burlesque Festivals, from Vegas to Amsterdam, ABSfest is known for embodying the true spirit of Vaudeville and nurturing creativity and empowerment. It is the only event of its kind in the southeast. Most cities with Burlesque fests are large & metropolitan - New York, Vegas, Boston, San Francisco, Toronto. Asheville is far and away the smallest city to offer something like this both to artist and to the public. .
For more, visit their Web site. More than 20 artists open their studios on Memorial Day Weekend at 11 locations in the Kenilworth neighborhood near downtown Asheville and Biltmore. The free, self-guided tour is fun for both the serious art buyer or the casual browser. Tour 10 AM-5 PM each day. Since its inception in 2008, the Kenilworth Artists Association tours have brought thousands of art lovers to the historic neighborhood. The tour includes artists working in a wide range of media, including five painters offering works in oil, watercolor and acrylic. 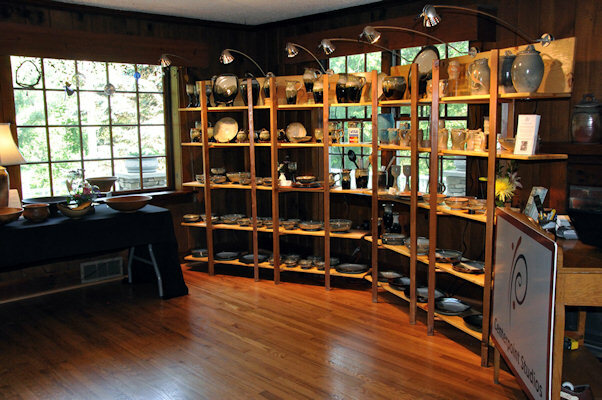 Other media featured are jewelry, pottery, ceramic tile, glass beads, furniture, mixed- media, photography, paper, turned wooden bowls, wooden flutes, and collage. Artists’ ages range from 14 to 92. The Kenilworth Art Studio Tour is planned by participating artists and sponsored by local businesses. Studio maps are available at area art galleries, retail stores, hotels, and tourist information sites. A tour map and brochure can be downloaded at kenilworthartists.org. Asheville's premier downtown craft beer festival will take place on May 28th on Roger McGuire Green in downtown Asheville, NC. Beer City Festival brings the best local and regional breweries from Asheville and surrounding areas together for a great day of beer and music. This year's event features over 32+ breweries. Live music schedule to be announced soon. A portion of this year's proceeds will go to benefit Big Brothers Big Sisters of Western North Carolina. BBBS-WNC is a wonderful organization that seeks to change the lives of children facing adversity between 6 and 18 years of age. The WNC chapter benefits the lives of people daily, and Beer City Festival and AVL Brewers Alliance are proud to be a part of this organization. All of the breweries featured in Beer City Festival are members of the Asheville Brewers Alliance (ABA). The ABA focuses on the growth of local and surrounding Asheville breweries through active partnership and support. There is no other White Squirrel Festival in the world like the one that Downtown Brevard hosts every year! This fun street festival honors these special wildlife critters, the white squirrels. These are not albinos, but siblings to the gray Eastern tree squirrel. And this particular species made its way to Brevard in 1949 as a result of a carnival wreck in central Florida. The White Squirrel Festival is two days of nutty, family fun over the Memorial Day Weekend. The music is the major showcase, giving prominence to national and even international performers who are connected to Transylvania County, with 14 free concerts! And there's plenty of food, art and crafts. It’s no wonder that the White Squirrel Festival was recognized by the Southeast Tourism Society as one of the Top 20 May festivals. Kids of all ages continue to be thrilled by the annual Squirrel Box Derby. Creatively-designed derby karts race down Jailhouse Hill clocking 35 mph or more. Contestants compete for trophies for the fastest critter, the squirreliest theme, and the nuttiest design. In addition, businesses fight to win the overall Golden Nut Trophy, which combines overall speed and design. For those who don’t believe they really exist, there are guided white squirrel tours. Resident expert and director of the White Squirrel Institute will guide families through Brevard College, the squirrels’ favorite feeding grounds. Those lucky enough to live in Transylvania County will be displaying their winning photos of these wildlife critters caught on film. Photo entries will be on display, as well as a White Squirrel Exhibit that recalls their Brevard history and the results of the squirrel count that takes place every year. The weekend would not be complete without the “Memorial Day” Parade organized by the American Legion and VFW. This tribute to our slain veterans kicks-off the festival on Saturday morning at 9 AM. The crowd-pleasing parade is followed by a “Presentation of the Wreath” at the county courthouse War Memorial. Be sure to check out the 5K and 10K White Squirrel races sponsored by the Rotary Club. Free admission. For safety reasons, dogs are NOT allowed. No alcohol is allowed at festival, except for approved designated area. Directions from Asheville: I-26 East to exit 40/Highway 280/Airport toward Brevard. Downtown Brevard is 33 miles from Downtown Asheville. Thirsty Monk Presents Our 3rd Annual Not So Big BIG Beer Festival! America’s top craft breweries will feature a selection of their rare and specialty beers in an intimate outdoor/covered setting at the Thirsty Monk Warehouse space at 92 Thompson St. in Biltmore Village! This fun, small-scale beer festival will have several rare and one-off beers all in one place, curated for you by the Thirsty Monk, especially for Asheville Beer Week 2016! Look for exciting breweries including: – Prairie Artisan Ales – Grimm Artisanal Ales – Allagash Brewing – Sierra Nevada – New Belgium Brewing – Boulevard Brewing – Thirsty Monk Brewery – Founders Brewing …and numerous others! Get Your Tickets Now: http://www.eventbrite.com/e/not-so-big-big-beer-fest-2016-tickets-24324440055 Your $10 ticket includes: – Admission to the festival – Souvenir Thirsty Monk Festival Tasting Glass – One Thirsty Monk 750ML Brother Noah growler to-go (Tickets available at the door without this special limited release growler!) – Tokens are available for purchase at $3 each and can be redeemed for festival pours or various food options. Food options available at the festival. Parking is available on site. Please try to carpool if possible. No overnight parking. Brevard, NC — Tickets are now on sale to the 3rd Annual Brevard Blues N’ BBQ Festival, presented by 185 Productions and Brevard Music Center (BMC). This year’s two-day BMC Presents event — held on Friday, June 3 at 5 PM and Saturday, June 4 at 2 PM at BMC’s Whittington-Pfohl Auditorium—combines live music, craft and food vendors, and an inaugural “BBQ Cook Off” into one family-friendly weekend of soulful entertainment. Artists and fans alike will gather in the beautiful Blue Ridge Mountains of western North Carolina to rock the blues at Brevard Music Center’s Whittington Pfohl Auditorium, a dramatic 1800-seat, open air performance venue on the Music Center’s 180-acre campus. On stage, an array of national headliners will be featured including Bettye LaVette, The Blind Boys of Alabama, Nikki Hill, John Neméth, Rick Rushing and the Blues Strangers, and Andrew Scotchie & the River Rats, as well as local favorites The Dangerous Gentlemens with Lee Griffin, Virginia & the Slims, and Levee Daze. Tickets to the Brevard Blues N’ BBQ Festival range in price from $30 (Friday pass) to $50 (Saturday pass); weekend passes are also available for $70 (a $10 savings). Each pass provides access to all performances on the date/s chosen. Food and beverages are not included in ticket prices. All concert seating is general admission, except for a limited amount of reserved seating available on both nights (ask the BMC Box Office for details). For tickets, contact the Brevard Music Center Box Office at 828-862-2105 or order online at www.brevardmusic.org/performances. 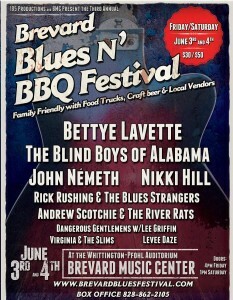 For detailed concert, food, and vendor information, visit www.brevardbluesfestival.com. It is only the beginning of festival season, so many more fun events are coming up further into June & July 2016!